As I finished up the post yesterday about the San Antonio Botanical Garden – I realized there were a few more miscellaneous pictures I wanted to share from our South Texas adventure. 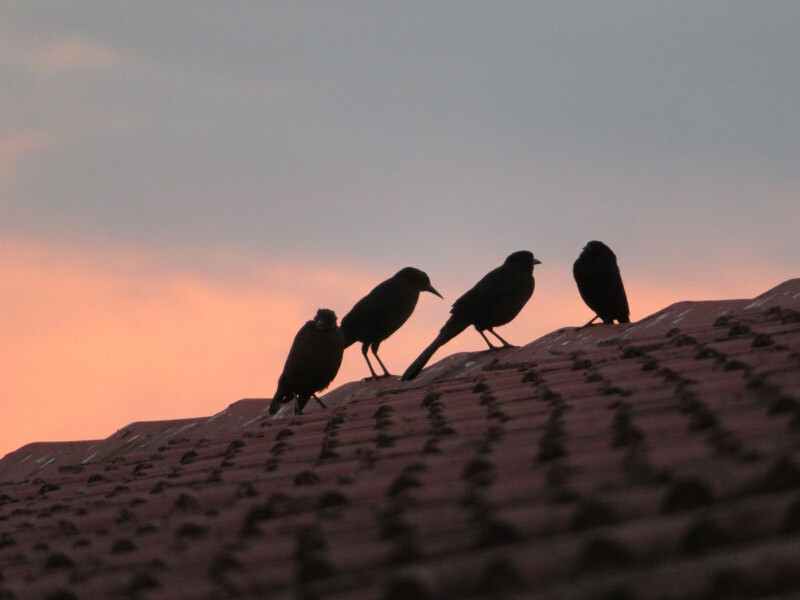 Every day near sunset hundreds, maybe thousands of birds gathered on the roofs and electrical lines around our hotel in Harlingen. The last night I managed photograph some with some sunset color behind them. 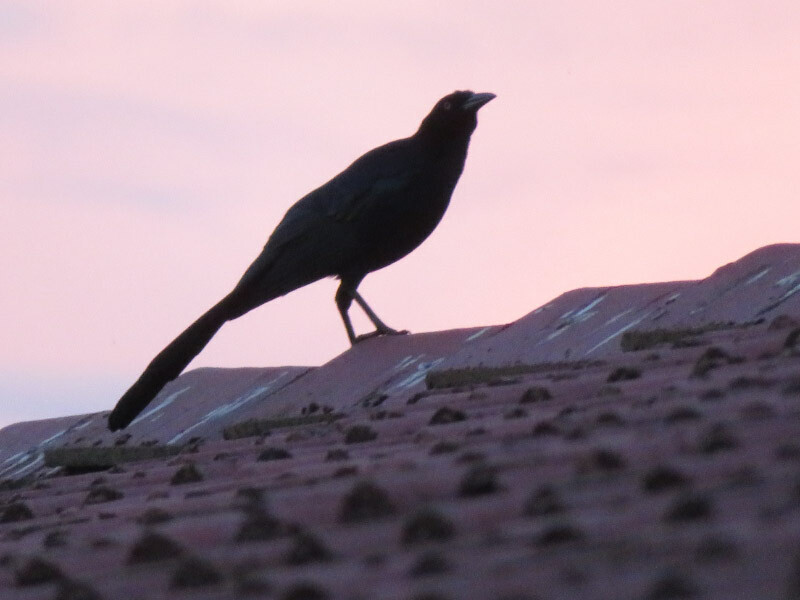 Many of them are grackles. 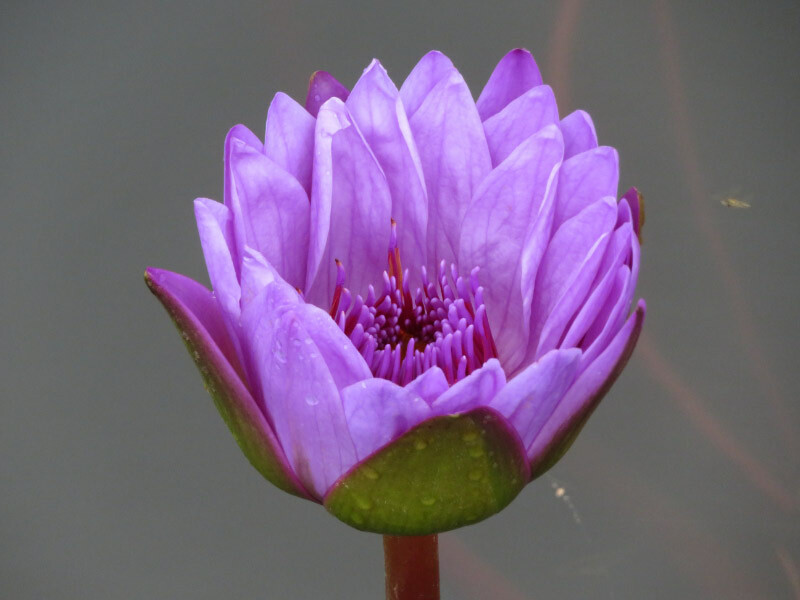 The water lily in the little pool. 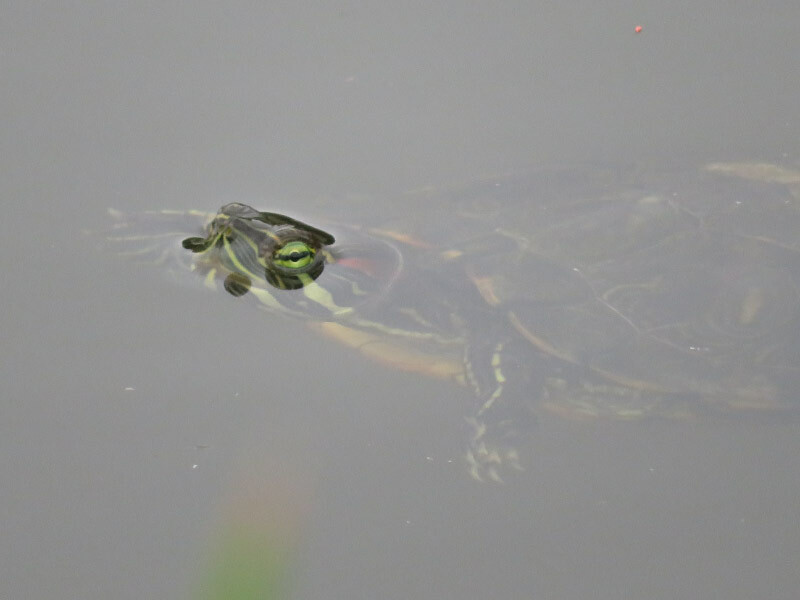 Then I noticed a red-eared slider in the water too. It is native in southern Texas…but invasive in Maryland. It’s included in the list of the world’s most invasive species! We headed out for a state park in lieu of the Butterfly Center and then heading toward San Antonio. The one rest stop we made along the way had this forest mosaic. 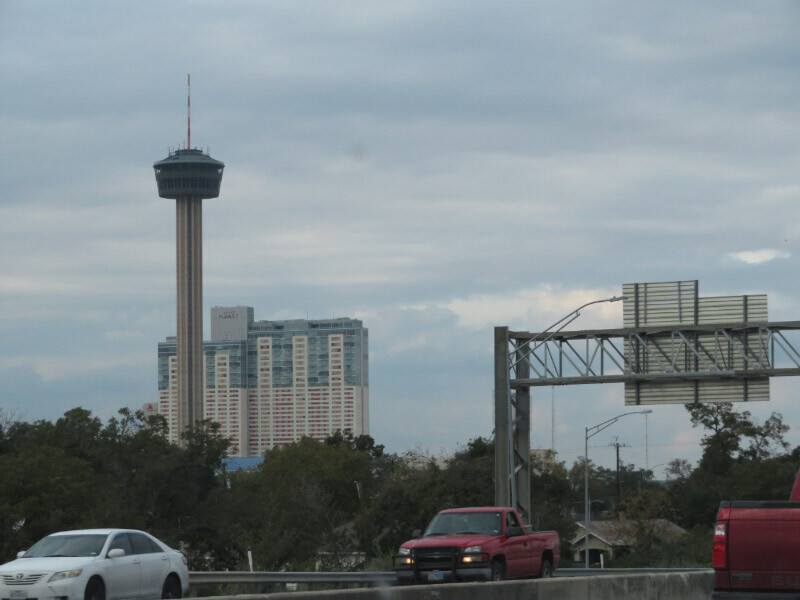 As we drove into San Antonio, I managed a picture of the Tower of the Americas through the car window. It was built for the HemisFair in 1968 and I remember making the trip to the event with my Camp Fire Girls group; I was in the 8th grade. 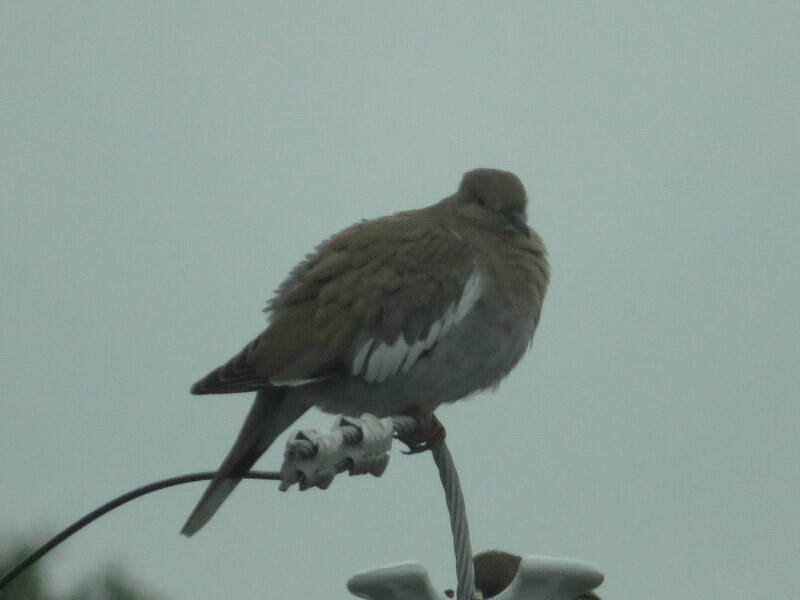 One last bird picture: a cold White-winged Dove taken from our hotel window.